News | Niall Griffiths - Local Democracy Reporting Service | Published: 15:35, Thursday February 7th, 2019. 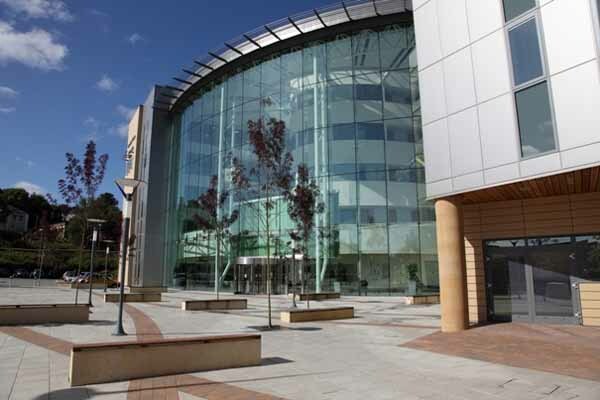 Cuts of nearly £740,000 have been reconsidered by Caerphilly County Borough Council following a public consultation on its budget proposals for next year. The authority’s leader, Dave Poole, says a “clear message” had been sent about “unpalatable” savings, some of which have been deferred indefinitely or until next year. Early reports suggested the council was looking to save £15.6 million in 2019/2020, with cutbacks to public services worth £14.6 million – but this has changed to £13.9 million. Plans to raise council tax by 6.95% – raising £4.6 million – remain in place, which has continued to be contentious amongst opposition groups. Community safety wardens (£247,000) – plans to scrap the service altogether have been shelved, but current numbers will be cut from nine to six. review of the council’s catering service. Closure of Aberbargoed and Penallta household waste recycling centres (£98,000) – the future of both sites will be revisited after a comprehensive waste review is completed. One-year reduction in waste vehicle availabity (£390,000) – a ‘temporary’ budget cut has been reduced to £300,000. Community centre budget cuts/closures and withdrawal of caretake support (£97,000) – deferred for a year to allow a period of 12-month notice. If alternative funding isn’t found by local groups, council funding will be cut. Introduction of rat treatment charges (£20,000) – deferred indefinitely. Match funding for community schemes at Bargoed Ice Raink and Senghenydd Splash Pad (£15,000) – deferred until 2020/2021. Cllr Poole said the authority was able to reconsider the proposals after receiving a “slightly better than expected” settlement from the Welsh Government last December. “The feedback received from the recent budget consultation sent a clear message that some of the proposed savings were unpalatable,” he said. “We are now able to make some adjustments, and this clearly demonstrates ‘you said, and we listened’. Plaid Cymru group leader Colin Mann criticised plans to stick with the 6.95% tax rise, which he said was twice the rate of inflation. “This is at a time when most people are under pressure and have seen their wages increase by much less than inflation, or not at all,” he said. Similar views were shared by Independent group leader Kevin Etheridge, who said he would not be voting for the council tax rise when it goes before members on February 21. Cllr Etheridge also remains concerned about £243,000 being cut from the school improvement initiatives budget used to support schools struggling to improve inspection outcomes. “Education has got to be a priority,” he added. Both opposition councillors welcomed the partial restoration of community safety wardens, which Cllr Etheridge described as “essential alternatives to the police”.